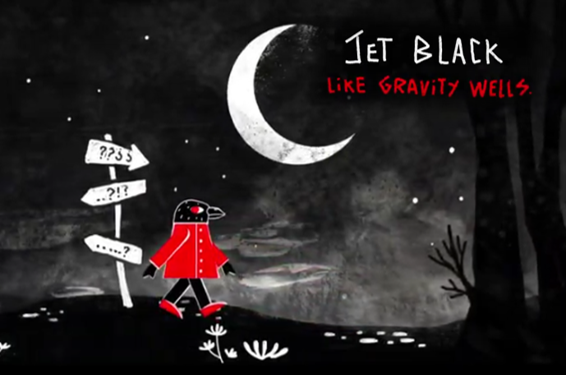 VIDEO PREMIERE: Jet Black | Like Gravity Wells. Canada-based Jet Black released one of the best albums of 2018, L'Ère du Vide, so we are understandably excited to premiere their new video for “Like Gravity Wells” today. The new video features stunningly artistic animation that pairs perfectly with the mood of the song. This creative piece deserves your attention, so click play and enjoy. 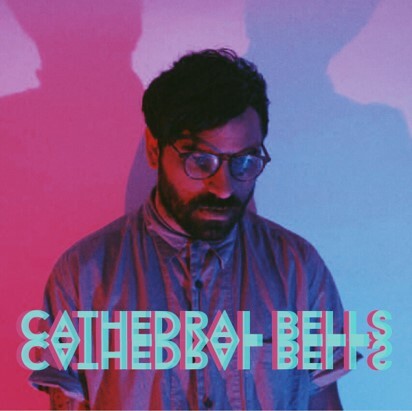 INTERVIEW: Matthew Messore of Cathedral Bells. Florida-based Cathedral Bells is the project of Matthew Messore (along with David Horne and Felix Boy, who were both brought onboard recently). Formerly of Dear Tracks and Houseplants, Cathedral Bells marks Messore’s foray into new territory. While there are some similarities between those projects and his new music, Messore carves out something altogether unique with Cathedral Bells. The songs are lo-fi yet incredibly lush, energetic in a lowkey, intimate way. 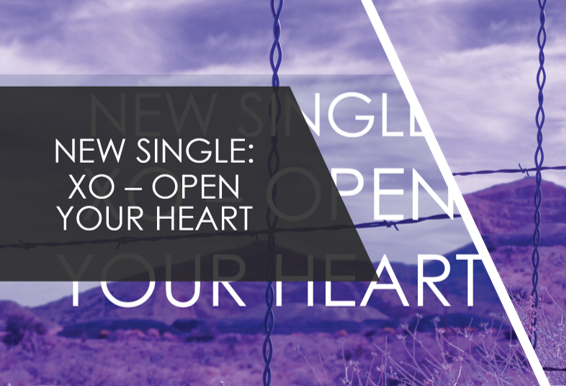 The nostalgia-tinged electronic arrangements shimmer and resonate deeply with anyone who loves or remembers the 80s. Messore has released three singles under the new moniker, with each one being better than the last (the latest single, “A Passing Phase”, is truly sublime and a personal favorite). We hope you enjoy getting to know more about Cathedral Bells in the following interview. Keep an eye out for this group in the future – they are sure to make waves. After releasing a couple of songs in August, I started working with live band members around Florida. Almost finished writing and recording an EP of songs I’ve been working on for quite a while. I have a lot of ideas I’m excited to work on after completing the EP. Currently working with live band and backing tracks to play shows in December and booking more dates in different cities for the new year. I would say my music lines up with shoegaze and dreampop scene. I try to keep a shimmery sound and mix 80s pop and lo-fi/DIY elements. It’s refreshing to see bands that stand out and have unique sounds and elements and that’s why I like modern shoegaze and dreampop artists. Right now I’ve been listening to the Doorbells a lot. All the songs I’m doing for Cathedral Bells so far has involved custom sampled drums contrasting with live percussion recordings. I record very minimally through a 2-channel interface directly into my laptop on the program Audacity. All the drum stems are lined up manually on multiple tracks on Audacity. It’s a lot of work but I like how it sounds this way. When it comes to label releases versus DIY/Bandcamp and the like, what is your stance, if any? I don’t think it matters, it depends on the music. I love the way cassettes sound. I have a special attachment because I grew up recording on tapes and I just like that hiss noise and warped detune sounds. Teen Beams, Jesus And Mary Chain, Panda Riot, Part Time. 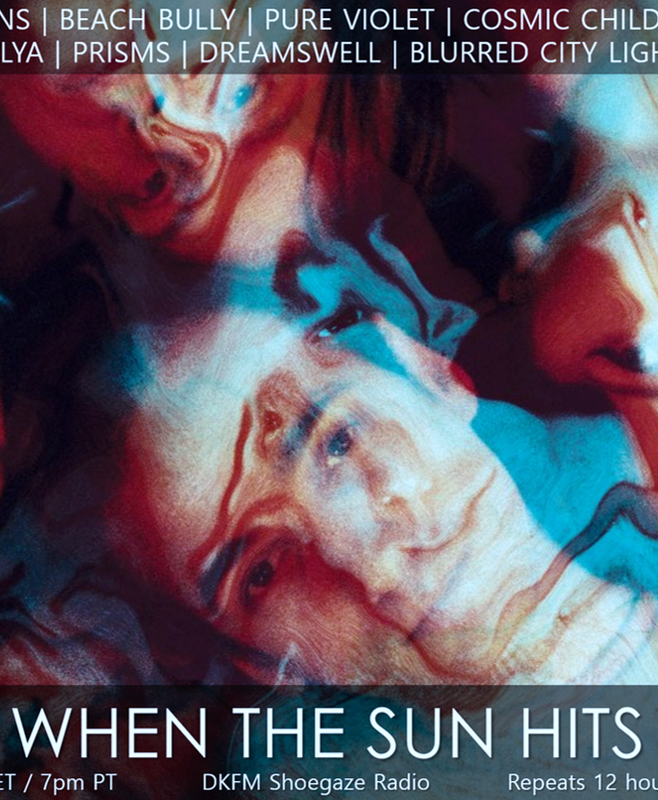 When The Sun Hits #147 is now on Mixcloud! 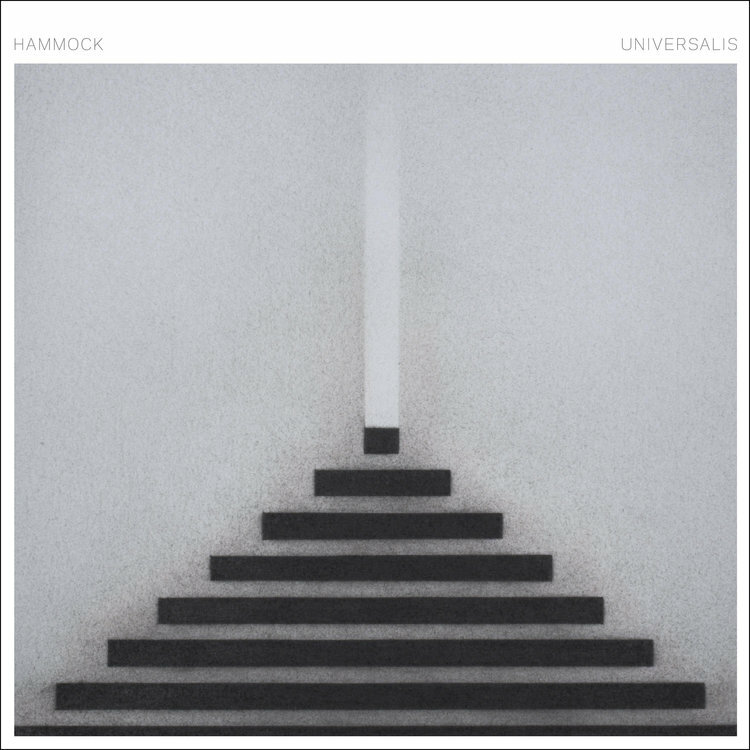 ALBUM REVIEW: Hammock | Universalis. Reviewed by Elizabeth Klisiewicz. Ah, another Hammock release to savor and muse about. It is always a joy to unwrap a new suite of Hammock songs and immerse myself in it. It is akin to a spiritual experience to connect with music straight from the heart and mind of this brilliant Nashville group. There is little information in the liner notes for this album. We know that Marc Byrd’s wife Christine contributes vocals, and Matt Kidd of Slow Meadow plays keyboards and helped with editing on some tracks. To achieve the marvelous skeins of sound on Universalis, they brought in Francesco Donadello (A Winged Victory for the Sullen, Olafur Arnalds, Johann Johannsson) and Peter Katis (Interpol, Jonsi, The National), who each mixed portions of the album. They create and render this beautifully intricate music that could easily have come from another world. It is cerebral, fraught with emotion, and leaves you pondering so many things in your life. It is the second of a three album series, and while the last album Mysterium was awash in darkness, Universalis is suffused with light and the warmth of these organic compositions. This release may remind long time listeners of their 2006 classic Raising Your Voice...Trying to Stop an Echo while also keeping the deep ambient, neoclassical format of Mysterium. At this writing, the band has released four singles from this album, all of them great. “Mouth to Dust...Waiting” hovers on the periphery like a newly dawned sun, and its lush instrumental passages enfold you in a gem-studded musical tapestry. The string sections are crisp and immediate, and while there is hope dotting the horizon, there is also longing and great sadness woven into the musical threads of this album opener. “Scattering Light” is a gentle follow on tune, with minimalist percussion and a gradual layered escalation of sound. I can certainly understand why it was chosen as a single. It is also slightly trippy in that dreamy way only Hammock can pull off, again and again. The title track is equally beautiful, and as moving as anything I’ve heard from the band. There is a slight urgency underlying the beautiful main melody, and it haunts long after the song fades away. “Cliffside” paints bright colors over gray strands of melancholy, and ends all too soon. I associate “Always Before Your Eyes” with the sea, and I am not sure why that is. Perhaps I am on a midnight sail with bright stars overhead, yet I sense danger lurking in the waves. It reminds me of Daniel Land’s riverrun project, and maybe that is why the ocean keeps coming up as I listen. “Tether of Yearning” holds out hope that things will improve, and never wavers in its conviction. “Clothed with Sky” is spare and minimalist, short and sweet with simple piano at its fore. Voices are added in a bit later, along with magnificent string movements. Just gorgeous! “Thirst” is mesmerizing post rock, the perfect soundtrack for an art film yet to be made. “We Watched You Disappear” is pensive and somber, and I can only think of people who leave us, whether it’s an intentional action, or they leave this earthly plane. It is possibly the finest song among a set of great tunes, but that is all up to the listener. The final tune “Tremendum” may have you wondering, what does it all mean? Hammock has this effect on me always, splitting open my skull and forcing me to really listen. I listen to other instrumental music, but none of it has this effect on me. It is a great upwelling of emotion as the song takes hold, yet it attains a certain distance as it moves past and draws to a close. Universalis is not music to dance to, yet you might find yourself weaving about to a tune only you can hear. It is deeply personal music and it’s almost a feat of magic to get this across to listeners, yet Hammock has a great talent for doing so. No fan of this band should pass this record up, and interested listeners should definitely pick it up. Catch up with the band over on Facebook and pick up the album on their Bandcamp page.